Several clients come in with health concerns which tend to worsen in the winter, especially skin issues. Eczema and psoriasis often appear similar. How to tell them apart, why do they get worse, and what to do about them? Eczema has red, inflamed patches on the inside bends of elbows, knees, wrists, ankles or the neck which may cause scaling, oozing of clear fluid, or crusting. These patches may itch so intensely that scratching them causes bleeding. Psoriasis has similar itching, along with stinging or burning. Inflammation tends to form in thicker, raised silvery or scaly patches on outer parts such as elbows, knees, palms and soles of the feet, as well as scalp, face (including eyelids), and on the back. From a homeopathic viewpoint, we tend to use symptoms, rather than labels, to decide on a suitable remedy. We start by elimination of any “maintaining causes”, such as allergies. In skin cases, this also means perhaps not drinking enough good water, or conversely drinking too many diuretic beverages such as black tea and coffee which may also increase the caffeine level in our systems. Secondly, in the winter we tend to eat more starchy or refined carbohydrates which acidify our systems, instead of greens, lightly cooked vegetables, and fruit which are alkalizing. Thirdly, taking a good probiotic to replenish our “good bacterial flora” in our intestines boosts our immunity and often improves skin afflictions. Topical creams only help to reduce itching or redness. So… we’re midway through winter, you’ve suffered at least one cold, or worse, a bout of the flu. You’ve probably even appreciated the down time, ie. extra snoozing, perhaps pampering from family members. Yet three weeks later, you’re afflicted with another cold, even stronger, which leaves your sinuses fully congested, nose dripping like a leaky faucet, eyes bleary and red, while your voice would make a frog’s croak sound like a song. In a word, you’re miserable. How did this happen again? You’ve taken probiotics, vitamin C and D, perhaps even started with Echinacea or Oil of Oregano. The answer may lie in what we Homeopaths call “Constitution” - that unique and wonderful blend of genetics, hereditary tendencies, general emotional state, all influenced by the environment. In other words, your susceptibility to “catching” a cold or flu is based on the strength of your immune system. Have you noticed that some people, who are constantly exposed to the public, for example, rarely get sick, while others who may be more sheltered from a wonderful variety of bacteria and viruses, fall ill more often? It seems like just yesterday we were packing away the holiday season’s decorations and dreading the dull, days ahead of us. This is the time, when due to sudden shifts in temperature, many of my clients and patients suffer from the flu and common cold. Both generally run their course between 7-10 days, but CAN be shortened with plenty of rest, warm clear soups and liquids, salt water gargling, honey, and Homeopathic medication for persistent symptoms. Jan 13/18 - From patient files – Desperate times call for… integrative medicine! Our recent two-week time away from the “deep-freeze” of early January, to Middle Eastern climes, was absolutely lovely. Travelling with a group meant following a schedule, however. When our 3 year-old fell ill from an unknown virus, this posed a challenge. He would perk up temporarily with Ferrum phos tissue salts (blog post Oct 23/17) but developed a high fever and racking cough when this was stopped. Homeopathic Belladonna or Mercurius might have done well, but unfortunately were not packed in the luggage. With this little boy’s symptoms becoming alarming, we called in a local doctor. He examined him thoroughly, stating that he had a virus which would pass with rest and much liquid. How refreshing to meet a practitioner who would not readily prescribe antibiotics. He did give a prescription for kids’ ibuprofen, in case his fever became too high while travelling–indeed it did. The little boy’s sister suddenly developed a fever also, with hot, pink cheeks–I initially gave her homeopathic Aconite for the fever’s severity, while keeping a close eye on it. We kept the Ibuprofen close, as we were travelling through the desert by bus. Thank Goodness, lots of rest and liquids improved her situation, and she perked up in a day. Her little brother improved slowly, but was well enough to travel back home. When absolutely necessary, emergency measures should be used, along with homeopathics (at separate times) which do not diminish drug effectiveness – indeed, homeopathic remedies can prevent over-consumption of antibiotics and pharmaceuticals, especially in children. Dec 23/17 – This blog will be out-of-town for 2 weeks, partly recovering from a “crazy busy-productive-fulfilling” year, partly preparing for exciting new developments, such as Live Blood Cell Analysis (amazing to discover what we look like at the cellular level), and new research with alternative health care. Thank you to all of my patients and clients, who trust me with their most precious commodity – their health and its improvement. I feel humbled by your perseverance, your brave efforts to get better, and I am blessed to know you all. Enjoy the upcoming lively, frenetic pace, as well the slower tempo of some time off from daily routines. Please stop for a few minutes and immerse yourself in it - the cleaning will still be there later (believe me, I’ve tried to wish it away! ), and special moments are fleeting: guests gone, with close family and friends, or even just by yourself, with a comforting cup of hot something, mesmerized by fluttering snow. This is when nerves drop, and you can actually catch a breath. This is also when you can reflect on the successes and pleasures of the past year, and look towards new memories and achievements. No regrets, only lessons learned well. .......with increased close contact, rich food and drink, and assorted microbes. Followers of this blog know about probiotics, vitamin D, colloidal silver, and oregano oil to stay healthy. What to do though, when you still catch a virulent virus? A simple cold that lodges deep into lungs? Overeating, bad food, indigestion, and hangovers? For those who want to avoid expensive prescription drugs with potentially bad side-effects, a quick list of natural remedies should get you through the season. A slight “off” feeling and low-grade fever can be revived with homeopathic Ferrum phos. Rattling in the lungs from a stubborn respiratory infection soon clears up nicely with NAC-n-acetyl-cysteine-an amino acid derivative that thins mucus and helps the lungs expectorate it. To prevent bloating and indigestion, from foods you may be intolerant to, take a digestive enzyme with your first bite. Food poisoning? Activated charcoal will “grab” the offending microbes from your gut, a probiotic S. cerevisiae will slow “the runs”, while homeopathic Arsenicum album will stop the horrible nausea and calm things down-pick whatever treatment fits. A bit (or a lot) too much to drink has got you hung over? Homeopathic Nux vomica (also known as Colubrina), will get rid of the awful side-effects of overindulgences. Researchers have long known that vitamin D is a steroid hormone that boosts functions of estrogen and progesterone. It also enhances the role of cortisol, another hormone produced by the adrenal glands (sitting on our kidneys). Cortisol acts as our own anti-inflammatory, especially in times of physical or mental stress when the adrenals release it in high amounts. However, if severe or chronic, adrenals are unable to keep up with cortisol output, leading to “adrenal fatigue”. The latest research indicates that our skin’s pigment cells may also be involved in the production of cortisol by sending signals to the adrenals via the brain–hence the importance of sun on skin to produce our own vitamin D, and if not, the need to take it in sufficient amounts. As winter deepens, and sunlight diminishes, many of us start supplementing with Vitamin D. Those who don’t may soon slip into the darkness of depression or dysthemia (low-grade depression) by February. How do we get enough of this precious mood-enhancing vitamin? As sun shines on bare skin during summer, our bodies convert cholesterol in our capillaries to vitamin D-10 minutes of exposure produces 10,000 IU (international units) of our own vitamin D. Otherwise, the best-absorbed vitamin D, also known as D3, is from lanolin, derived from sheep’s wool. Some studies indicate that we need to supplement with 1000-4000 IU (International Units) per day for optimal function. Emerging research indicated that when we start feeling ill from one of many floating microbes, an excellent course of action is to take a good probiotic (minimum 10 billion CFU) along with vitamin D, 2000-3000 IU once a day. Only then can we follow this with Oregano Oil (previous blog), Elderberry juice, or Echinacea-these two are effective in early stages of illness. As stated in Part 6 of this series on antibiotics, many physicians are uninformed, (Zoltan Rona, MD) or are “lazy doctors who are trying to kill a fly with an automatic weapon”, say Mahyar Etminan, a pharmacological epidemiologist at the University of British Columbia. Fluroquinolone antibiotics should be reserved only for extremely serious, life-threatening illnesses. Should your doctor prescribe these for colds, ear infections, URTI, or UTI, which could resolve on their own or certainly with safer treatments (natural or allopathic), ask your doctor for an alternative, and educate him or her on the serious side-effects of Cipro, Levaquin, Factive, Avelox, Noroxin, or Floxin. More information from another well-respected source is here https://well.blogs.nytimes.com/2012/09/10/popular-antibiotics-may-carry-serious-side-effects/?_r=0. Request an antibiotic with a better side-effect profile, ie less serious possibilities of nerve damage (including penetration into the brain) memory loss, etc (see Part 5 of this series). In addition to these possible, horrible consequences, given to an already compromised immune system, Fluoroquinolones strip the body of its stores of calcium, magnesium, potassium, iodine, iron, and healthy intestinal bacteria (many of us do experience antibiotic-induced diarrhea). If you absolutely must take these antibiotics to save your life, do supplement with these minerals, many of which come naturally in sea water extractions or liquid volcanic ash extractions. More information about support groups for those who’ve been “Floxed” and are trying to recover their health, is available at https://floxiehope.com. Let’s take more responsibility for our own health and educate ourselves about the very real dangers of heavy-duty antibiotics. Are There Alternatives to Antibiotics? – Part 6 - Why ARE harmful antibiotics over-prescribed and over-consumed? In Part 6 of this series, Dr. Zoltan Rona reveals (Vitality magazine Oct/17) how the fluorine molecule in the harmful Fluoroquinolone antibiotics can penetrate the blood-brain barrier and seriously affect the nervous system. In addition, fluoride can displace iodine (amongst other minerals), which is crucial for healthy thyroid function. As mentioned previously, even Health Canada and the American FDA have warned doctors not to prescribe this group of antibiotics unless for life-threatening illnesses. Despite these strict injunctions, practitioners continue to order the use of these for infections that do not require this class of antibiotic. Furthermore, their potentially deadly side-effects are ignored and under-reported. Even if we somehow manage to escape or prevent a round of these antibiotics, those of us who eat animal products are at shocking risk of ingesting these Fluoroquinolones anyway. Our livestock - cows, pigs, chickens, turkeys – are fed Fluoroquinolone antibiotics to fatten them up. Imagine the threats in grocery, restaurant, and fast-food meats! 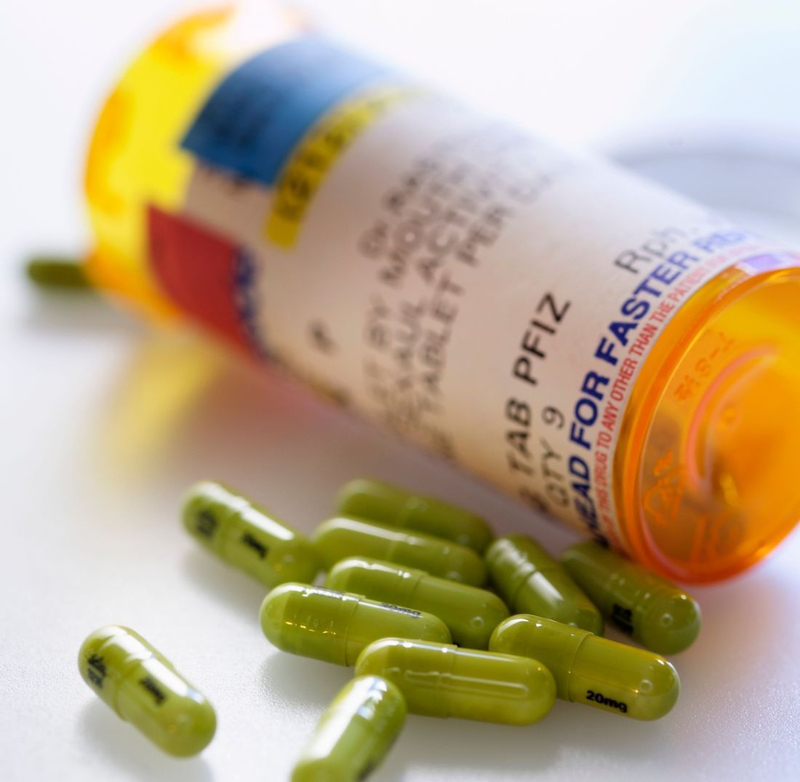 In addition to alarming effects on the thyroid, other organs, and nervous system function, these antibiotics potentially contribute to deadlier infections – MRSA (methicillin-resistant Staphylococcus aureus) and C. difficile (Clostridium difficile) to name two. Why would doctors prescribe such toxic medicines when not necessary? One answer is that in a busy practice, they may not recognize or know the deadly nature of these antibiotics. Another, crucial reason is that they are sold on these antibiotics and other new drugs by aggressive marketing reps.
Are There Alternatives to Antibiotics? – Part 5 – Antibiotics: Lifesavers or Killer Drugs? More shocking still, is how frequently they are prescribed, despite published side effects, when less serious antibiotics would suffice. The FDA has even advised against prescribing these for three common ailments: bronchitis, sinus infections, and urinary tract infections. A large part of responding to illness, as the weather cools and microbes spread, consists of knowing your or your family’s “illness patterns” and responding to them quickly. That means nipping potentially serious sickness in the bud with the natural treatments suggested in previous parts 1-3, and observing hour by hour, how the system responds. Take, for example, a low-grade fever in a child who is still active, but you know something is not quite right – he or she may have pink cheeks (not red as in a high fever), appetite is low, eyes may be a bit droopy, sleeping more, or less. The overall picture does not scream “emergency”, however, if not handled immediately, it could possibly become one. In this situation, an excellent treatment consists of Dr. Scheussler’s Tissue Salts. “Salts” is the medicinal name of inorganic mineral combinations, prepared in homeopathic low doses, and there are 12 basic ones, numbered the same way whatever the manufacturer. All these mineral salts are found in the tissue of the human body are therefore are called "cell salts" or "tissue salts". However, the body does not make them, they must be taken in through diet or otherwise. Tissue salts draw in organic substances right into cells to nourish them. In a previous post on how to prevent, or at least treat viral and bacterial infections as soon as they start, I mentioned oil of oregano. Although not as versatile as colloidal silver in terms of how to use (eyes, mouth rinse, etc) oregano oil is a stronger antimicrobial. As soon as one feels “fluish”, with scratchy throat, aching muscles, or stuffy nose, that’s the time to take 1 or 2 drops under the tongue, or, if too hot, 4 drops in a small glass of water, either method up to 6 times per day until symptoms subside or disappear. This will nip a full-blown attack in the bud. The best oil of oregano is wild, from the Mediterranean, of the strain “oreganum minutifolum” with a carvacrol content of between 73-85 %. Carvacrol is the active ingredient of this amazing little herb, and is usually diluted in olive oil at a ratio of between 1:1 to 1:4, ie.1 part oil of oregano to 4 parts olive oil. A new, even more effective combination uses black seed oil, which is rich in antioxidants and vitamin E.
Oil of oregano has several applications, including drops taken internally, a drop or 2 in the ear against ear aches, or a drop or 2 applied to the soles of the feet (cover with cotton socks) for children who are too young to take this product orally. Colloidal silver and oil of oregano comprise two “must-haves” in the cold season’s arsenal of preventative treatments against an army of oncoming microbes – let’s stop them before they really invade us! Alas, summer is over with kids back to school and their parents back to stricter routines (that can be a good thing too! ).More time spent indoors in close proximity with those who might have the sniffles, or worse, means that we should look at preventative measures to keep well. These include Elderberry syrup, Echinacea, and vitamin C. Once sick however, we need to bring out the “big guns” of natural health care: colloidal silver and oil of oregano. Colloidal silver is an amazingly versatile first line of treatment for several afflictions. Recently, a patient suddenly developed a large, tender, pus-filled canker sore, and was slated to go to the dentist the next day. I advised her to rinse 2-3 times that night to ease her pain. To our pleasant surprise, there was no evidence of the sore, nor the pain. Other patients have reported an end to receding gums, and 1-2 drops in each eye clear up conjunctivitis (pink eye) quickly. Two other patients have cleared up their skin, severely scarred by HPV-induced flat warts, by taking oral doses of colloidal silver 3 times per day (no, your skin or eyes do NOT turn blue or grey with this homeopathically prepared water). So, whether you seek to prevent, or heal, non-life threatening afflictions this fall and winter, ensure you have a bottle of Colloidal silver in your medicine cabinet – it looks and tastes like water, does not kill your beneficial flora or induce diarrhea, and best of all, has no negative side-effects! No doubt antibiotics may be necessary for acute infections of any kind. This is particularly true for serious or potentially deadly illnesses that have been left untreated for too long, or for those that develop rapidly. For 60 years we have lived protected by these lifesaving antibiotic drugs. However, evidence is mounting that they may have reached their optimal curing effect and may in fact contribute to "super-bugs", ie super-deadly bacteria that resist even the strongest antibiotic treatments! Not only this, some awful side-effects of antibiotics often force some of us to stop taking them before they're done, possibly allowing bacteria to recover and grow ever stronger. Legal Disclaimer -None of the medicines mentioned should be used without clearance from your physician or health care provider. We do not claim to cure any disease which is considered "incurable"
0n the basis of scientific facts by modern medicine. The website’s content is not a substitute for direct, personal, professional medical care and diagnosis. ​ May 13, 2017 - Let's be proactive in our health care! Homeopathy has been a regulated profession in Ontario since April 1, 2015. Some insurance companies - Blue Cross Medavie- currently provide coverage for homeopathic treatment with a registered Homeopath. As Homeopathy becomes more recognized in Ontario it is expected that more coverage will become available. Many Insurance companies are now willing to address requests from insured parties (patients) as to the type of coverage preferred. If your insurer does not currently provide coverage for Homeopathy, you may request that they do. It is important to distinguish Homeopathy from Naturopathy for insurance companies. The Healer's Path can also provide you with a letter that can be used to send to your insurer to request coverage for homeopathic treatment.